Below is what our Request Programme Form looks like. 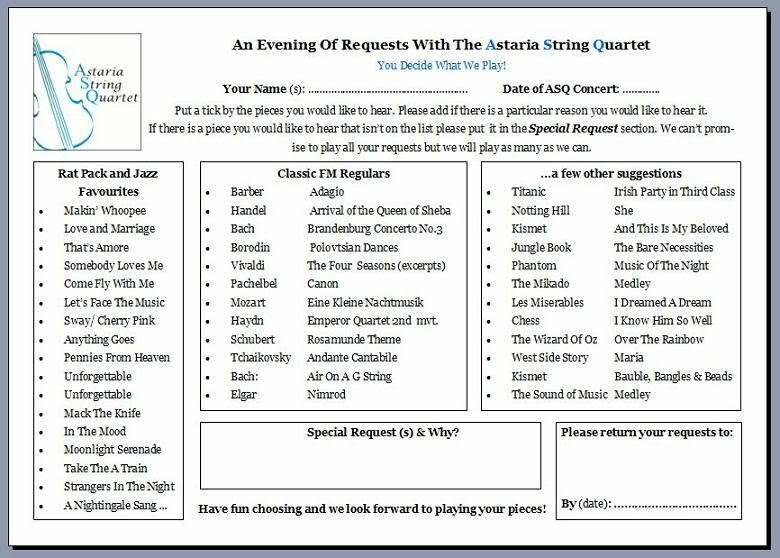 All the music listed can be chosen by your audience for a chance to be included in the programme. In addition, the 'Special Request' option allows for music choices made entirely by your audience! A - You can download a PDF copy of the form (below), send it to your audience, who then return it to you completed. C - We can send you the form as an email attachment (PDF), so that you can forward it to your audience by email. They then return it to you completed. D - We can send you a copy of the form in the post. You then distribute it to your audience who then return the form to you completed. 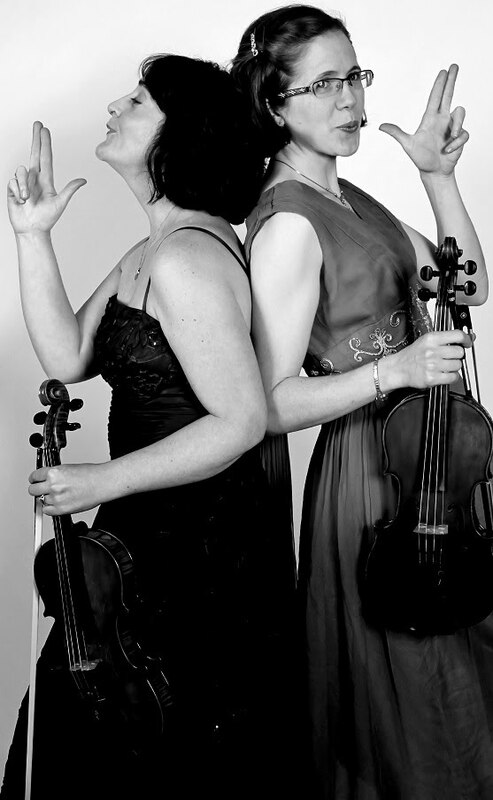 CONTACT us now if you would like to include this type programme in your concert series!